Jacksonville, North Carolina, is a small yet lively town in Onslow County, best known as the home of the largest Marine Corps base on America's eastern seaboard. Jacksonville also enjoys some beautiful beaches and the best ones are in Hammocks Beach State Park. The town played an interesting role during the Civil War, and the best place to learn about it is at the CSS Neuse Civil War Interpretive Center. 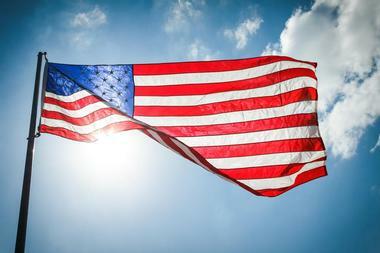 Lejeune Memorial Gardens has a number of memorials to the Americans who have fallen in different conflicts around the world, while the North Carolina Maritime Museum honors and interprets Jacksonville's maritime history. If you are travelling with kids, take them to see the wild animals at the zoo or the marine animals at the NC Aquarium at Pine Knoll Shores. Lejeune Memorial Gardens is a beautiful Jacksonville park that is home to a number of memorials that honor those who lost their lives in war zones around the world. 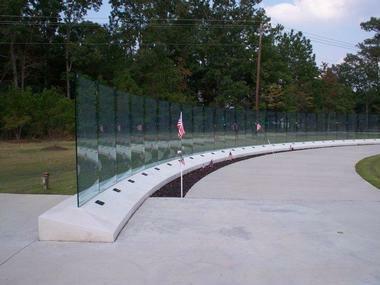 The park contains the Onslow Vietnam Veterans Memorial, the Beirut Memorial, the Montford Point Marine Memorial, and the 9/11 Memorial Beam in memory of the victims of the World Trade Center attack. There are plans for future memorials and space in the park has been left for them. At the spot that will be part of the future entryway to the Museum of the Marine is a large statue named Eagle, Globe, and Anchor, reflected in the surrounding pond. Lynnwood Park Zoo is an animal park spread over 10 acres of land, with a lovely half-acre pond and a popular picnic area. Established in 1990, the zoo is the only park of its kind in the area and features more than 80 animal exhibits, with a large range of species – mammals, reptiles, birds, and others. 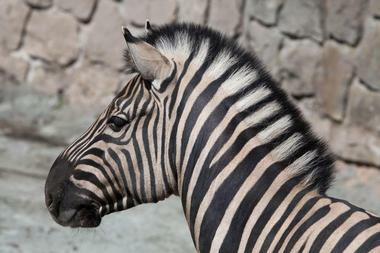 Some of the most popular mammals are zebra, grey fox, wallaby, pygmy goat, coatimundi, mara, grivet monkey, Java and rhesus macaques, and many others. The reptile exhibition contains the American alligator, corn snake, Burmese python, king snake, eastern box turtle, blue tongued skink, savannah monitor, and others. The most important birds housed here are the barred owl, emu, red golden pheasant, redtail hawk, and others. The CSS Neuse Civil War Interpretive Center is great place to learn about North Carolina history during the American Civil War. Located in downtown Kingston in a former bank, the museum features a range of contemporary exhibits, but the stars of the museum are the well-preserved remains of the CSS Neuse. The CSS Neuse was a confederate gun boat that participated in the Confederate navy's attempt to take over the city of New Bern and gain control of the Neuse River. Besides the gun boat, the museum also contains a number of historic artifacts and written accounts of the boat's crew. There is also a short film about the Civil War in North Carolina. Located on the North Carolina coast, the heart of the vast Hammocks Beach State Park is the very popular Bear Island. This wild, undeveloped, about 3-mile-long barrier island is a haven for weekenders, who come to enjoy the wide sandy beach stretched between massive ancient dunes and the Atlantic ocean. The island offers a number of simple, rustic campsites and a small concession and picnic area. The park has a well-organized visitors center, which also serves as the gateway to the island and as the port for the ferry service as well as canoes or kayaks. You can rent them here or paddle to the island in your own kayak or canoe. 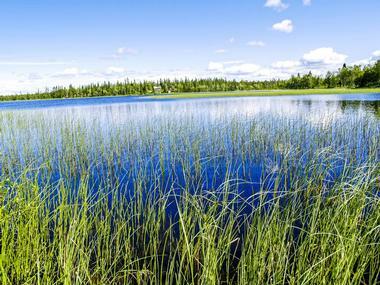 They are the best way to explore the trails through the marshes and the island's maritime forest. 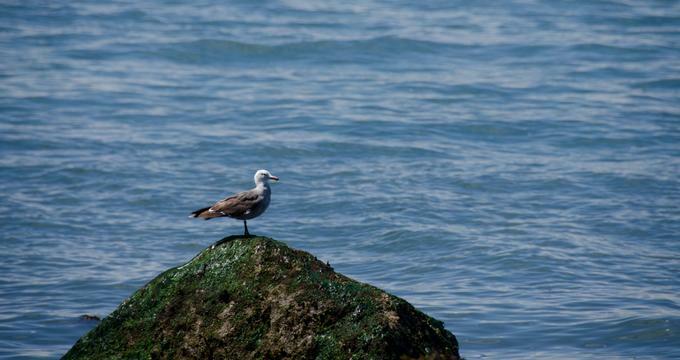 The island is home to a number of nesting shorebirds and endangered sea turtles. The NC Aquarium at Pine Knoll Shores is an amazing place, where visitors go on a journey “from the mountains to the sea.” You will see 50 exhibits and more than 4,000 aquatic animals of all sorts, such as sharks, sea turtles, stingrays, and so much more. There are daily programs for children and adults, including live animal encounters where visitors can touch a sea turtle, stingray, or horseshow crab as well as other critters. 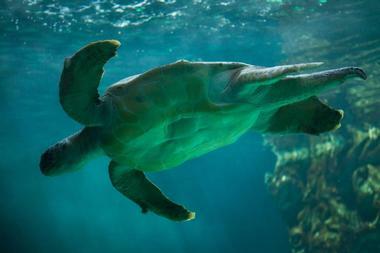 Watch divers swimming among the sharks and other dangerous marine animals. You can also take part in feeding various animals and watch native shorebirds and raptors showing off their cool tricks. The North Carolina Maritime Museum in Beaufort is one of the three maritime museums that preserve North Carolina's maritime history – fishing, piracy, boat building, underwater archeology, the seafood industry, marine life, and much more. 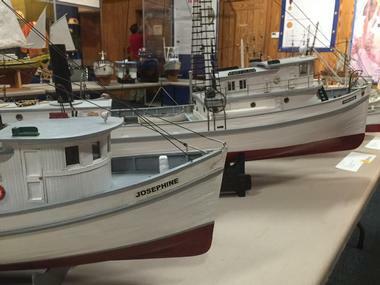 The museum in Beaufort reflects local coastal life, lighthouses, lifesaving stations, motorboats, and the seafood industry. The museum features diverse artifacts, such as those from Captain Blackbeard's ship, Queen Anne's Revenge, including cannons, beads, grenades, and belt buckles. Besides permanent exhibitions, there are visiting exhibits such as the new one on surfing in North Carolina. Tryon Palace is a lovely Georgian mansion built in 1770 by Royal Governor William Tryon as North Carolina's first state capitol. 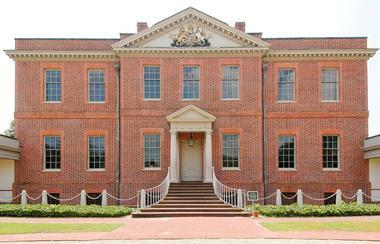 The former Governor's Mansion, surrounded by 14 acres of beautifully landscaped gardens, is today a popular history museum with a number of historic homes and the North Carolina History Center. The entire complex can be visited with the help of well-trained history guides dressed in period costume. 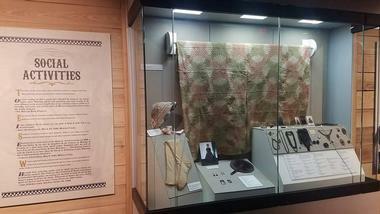 Visitors can also enjoy interactive living history demonstrations. The North Carolina History Center is the new addition to the historic buildings and is home to the Regional History Museum, rotating visiting exhibitions, rare artifacts, and a nice waterfront restaurant. 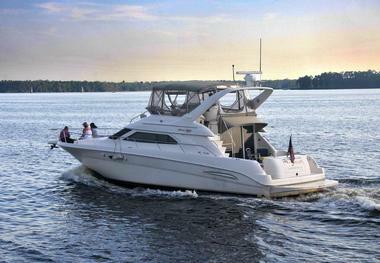 Bayonet Enterprises is a Jacksonville private yacht charter run by Captain Lance and his first mate Marilyn. This family-run business offers affordable fun on the water, whether it is a lunch, dinner, or sunset cruise with wine and cheese, a champagne brunch, a family cruise, or an overnight getaway on the New River. Longer cruises come with two-person kayaks, which guests can enjoy during the stopover. Bayonet cruises are run on a lovely, spacious boat with two staterooms, two baths, AC, stereo, and TV. Children under the age of 8 travel free. Children under 13 are obliged to wear life vests when not inside the salon. The Onslow Vietnam Veterans Memorial is located in the small grove of tall pines in Jacksonville's Lejeune Memorial Gardens. The memorial is dedicated to the almost ten million veterans of the American Armed Forces who were on active duty during the Vietnam conflict. Almost three million of them were in the Vietnam Theater. The memorial also honors the 303,704 service men and women who were wounded in Vietnam, and those still unaccounted for. The museum's glass walls around the central fountain have inscribed on them the names of all 58,229 soldiers who lost their lives during the Vietnam War. Cracked It! 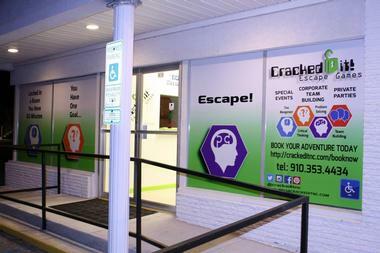 Escape Games is new family entertainment venue in Jacksonville. It is suitable for all ages, from 10 to 100, even for people in wheelchairs, and does not require any previous knowledge. The game has taken the world by the storm and the one in Jacksonville, owned by Brian and Margaret Vinciguerra and their two daughters, is located near Midway Park. The Escape Room game is played by 2 to 12 players, who are locked in a room and given a mission or goal, a number of clues, and 60 minutes to solve the mystery in order to be released from the room. The game is a great way to learn to work as a team or for any team or group to bond or just have some fun.